The Gibson ES-175 remains one of the company’s most popular guitars and guitar players from Jazz to Progressive Rock have long enthused about the instruments unique tones and playability. Here at JGG we have seen a good few of these amazing guitars come through our doors over the years and they have all delighted both us and our customers. The ES-175 has especially been a favourite of the world’s most famous jazz guitarists and if players like Pat Metheny, Jim Hall, Joe Pass are anything to go by, then you know that these guitars are something special. The ES-175 was first introduced in 1949 by Gibson as a laminate top alternative to the L-5 and as an electric version of the L-4. It was also the first guitar made by the company to feature a Florentine cutaway allowing easier access to the upper frets. The number 175 was a reference to the original purchase price in dollars. 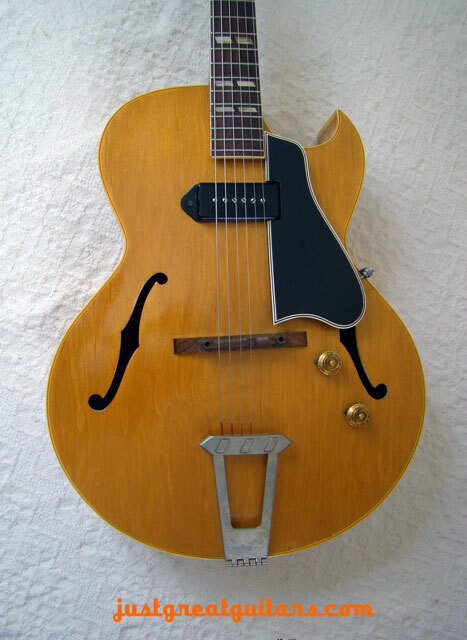 From Feb 1957 the ES-175 was made available with humbucking pickups and over the years the basic model has seen a number of modifications in both style and body size including the thin-bodied ES-175T model. 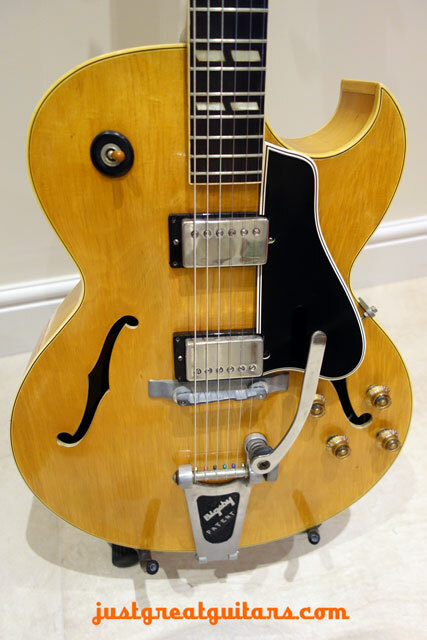 Guitar players outside the jazz world have also embraced the ES-175 and these include Steve Howe of the group ‘Yes’ who had a signature model made by Gibson in 2002. The ES-175 is still produced by the Gibson company and remains one of their most popular models ever. Here at Just Great Guitars we always keep a good stock of vintage ES-175s and please click on the photo links to see some of what we have currently in stock. We also take this opportunity to wish all our valued JGG customers a very Happy Xmas and New Year for 2016.